When Life turns you upside down, you must adjust to the perspective and KEEP FOCUSED on your target. In a home business, that is what is needed as sometimes you will get negatives and even discouraged. 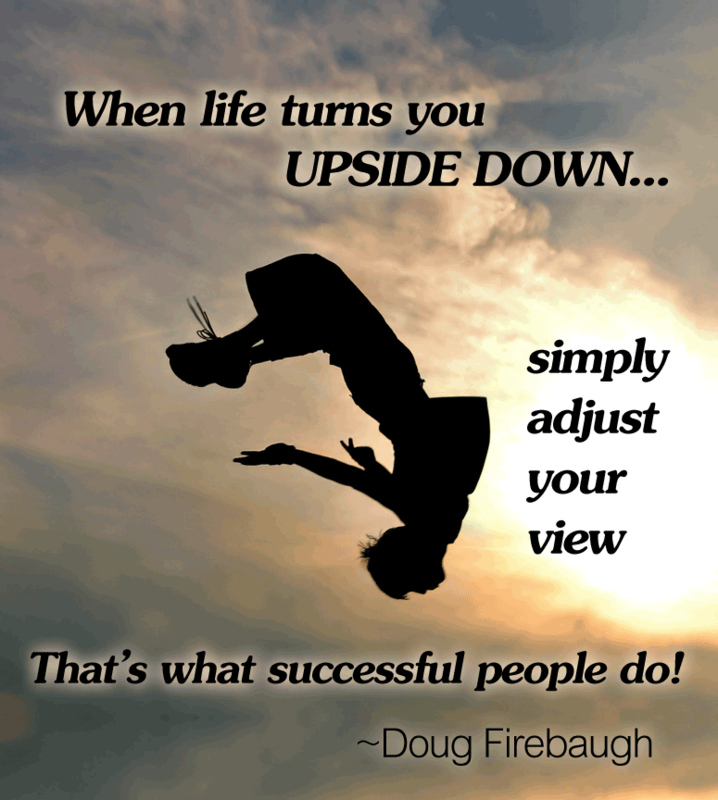 Just adjust you view- AND KEEP MOVING FORWARD in your network marketing home business. MLM Local PR for Recruiting. Have you ever thought of using local Publicity for your home business? How does that appeal to you and your network marketing success? Would you like to know about how to get your local media more interested in YOU and what you are doing in your work at home business? I have subscribed to Marsha Friedman’s newsletter for years, and it truly is one of the best out there for Public Relations and more. Here is a post she put out about Local PR and how to get their attention. I have had a LOT of local PR wherever I have been blessed to live and some garnered national attention. I would suggest that you take a look at this post and see how it can help you become more well positioned and known in your local area for recruiting as well as prospecting for your home based business. Get your Local PR ON! Local media can position you as a celebrity and expert. A hometown fan base can help you grow. Look for shows and publications that are a good fit. I admit, I’d be on the first red-eye to New York City if I thought I’d land in the chair next to Matt Lauer on the Today show. Imagine! An audience of millions and Matt Lauer’s hand on my arm! But while national TV exposure is great, you won’t hear me sobbing if he never invites me to his set. (Well, maybe a sniffle or two – hey, he is Matt Lauer.) I know that local TV and radio shows, newspapers and magazines can also position me as an expert and a celebrity. They can help me build a solid fan base that will help carry me to national prominence, if that’s what I want. And they’ll give me a chance to polish my message, so when the big time’s ready for me, I’ll be ready for it. And local media are far more accessible – even more so than just 10 years ago. With state, national and international news now available from myriad sources online, many local outlets are focusing on their community. Stories and segments about hometown people, events and issues are the one thing they have to offer that can’t be found on a million websites, so if you have a good story to share, you’ll likely find more receptive listeners. 1. Look for radio and TV shows that have a format for guests. Search online for the stations that broadcast in your area and take a look at their websites. Look over show descriptions and if past shows are archived online, take a minute to listen and/or watch. If they’re not archived, jot down the times and days they air, because you definitely want to experience the show to see if it’s the right fit for you and your message. Pay attention to the topics, the host, the kinds of questions asked and the guests. Think about whether you can tie your message into that format. 2. Look over local newspapers, magazines and online publications for opportunities. Read the columns and the articles; what sorts of content do the various editors select? What topics, tone and length? Can you provide content that would fit in well? If your message is about animal welfare and the publication is about business, can you craft a column, article or tips that will resonate with that publication’s readers? Or, if you think a reporter might be interested in writing your story, look for the appropriate beat reporter. If you’ve got a new cookbook and a related story idea, i.e. three great Crockpot recipes with just three ingredients, find the name of the food writer. Think about what you’ll say before you call or e-mail. Your job is to catch the interest of the editor, show host or producer, or reporter, so it’s important to think through what you plan to say. Explain your segment/story idea as succinctly as possible and provide a phone number where you can be reached at any time during the day. If you start with a phone call, follow up with an e-mail a few days later and vice versa. Remember, you’re providing content, not selling. The media will fall in love with you if you provide great, interesting content that resonates with their audience. They will fall out of love – just like that! – if you use the platform they give you to pitch your book, product or service (that’s why they sell commercials and advertising for)! The payoff for you being a guest, writing an article or being featured in an article is that you will usually be identified by your name, claim to fame and website: “This is Crazy Joe from Crazy Joe’s Coffee, www.crazyjoecoffee.com.” And that’s where celebrity begins. If you dream of someday dancing with Oprah Winfrey or being interviewed by Howard Stern, don’t give up! Instead, start working toward that now by plugging into your hometown media. Where do you think those big national outlets get their ideas? This is a great post that I believe will help you in obtaining local PR for you, your endeavors, as well as your mlm home business. Do you ever talk to people that you do not know for your network marketing home business? Have you ever talked with someone that was a cold market lead? How did it go? Did they join your home based business? The greatest Asset you have in your hands during slow times- is HOPE. Folks are looking for HOPE in today’s slow economy. Most lack it. Most do not have any hope of it getting any better. And most feel powerless. A hope that there is a better way out of this economic mess. A hope that they can make it through it. A hope that they can weather the storm. A hope that they can survive. Move them past all of those “that is just the way it is” people and take them to “it does not have to be this way” land. During tough times, people seem to be more resistant. They are not. They are just scared and many times just wanting a friend. Folks today may seem more resistant to your conversation. They really are not. They are just being what their emotions call for – resistance. But you can break that down very easily and it not even be a problem. Move from recruiting them to just being there for them. Most are looking for someone that understands their situation and is willing to listen, and simply care. That can be done by you. In a Slow Market, people are looking for some real advice and input. Be that input. Move from recruiter- to Advisor. During slow times- think ATTORNEY. Build your case, and then build it some more. Then state the next action. This is where you give ONE POINT at a time why that today is a great time to do something different and refuse to stay where you are at. “Another good point that shows why that today is such a good time to do something different is the mood of the people. When people get angry, they are more open to change. Would you agree there are some upset people out there? How do you open up conversations in your mlm recruiting efforts? What do you say to your network marketing prospect? 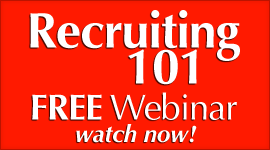 How would you like to learn 8 Powerful opening Lines for MLM Recruiting? 1) The 4 Power Words in approaching anyone-warm or cold market. 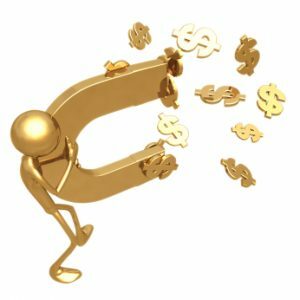 These are 8 Powerful Opening Phrases for MLM prospecting for your mlm network marketing home business. 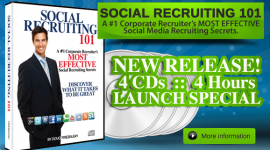 FREE Social Media Recruiting ebook- Social Recruiting ebook-over 50 secrets! Do you ever struggle with your home business? Have you ever felt like quitting your network marketing profession? Does direct selling have it’s moments that you just feel like giving up? About 4 years ago, we came up with a Success Declaration Script as part of the “Re-Scripting the Mind” Program. We believe that what goes into your mind- good or bad- will come out in your life. I have been a big believer in putting the Good, the Powerful, the Mighty into your mind. And this declaration I believe can help anyone. Our thoughts become our greatest enemy. This Re-Scripting Declaration will help you start to battle those negative thoughts and input what needs to be inputted and jettison what needs to be removed. This Success Declaration I believe will help you put into your mind what you MUST in order to get out of life what you want. Read this daily, and read it at least 3 times a day. This will help you focus and get your game on with your mlm home based business. 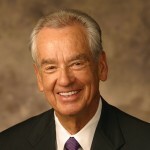 My Personal Success Breakthrough is at hand! Today, I draw a line in the sand. It is my day of total transformation. I have made THE Decision. I will no longer settle for a life of less. My family will no longer settle for a life of less. I no longer will expect less. Our Creator did not put us on this earth to live a life of struggle. My family deserves the best that life has to offer. So do I. I now know that I have been misled in what I can do with my life. I now know that I have been living a life that I did not have to live. I have decided today that Success and Wealth belong to me. I now know that struggle is optional. I will struggle no longer. I am worthy of Success and Wealth. Today, the worry and fear STOP. I forgive the people who taught me this life philosophy for they did not know any better. I forgive myself for not believing in me like I should have. Today I see the Truth. There is a Millionaire Inside of me, and today, I release that Millionaire from my heart. Today- everything changes. God is smiling. I finally get it. It’s my turn, it’s my time, and it’s my life. Today the TRUE me – the one that is UNSTOPPABLE and totally UNDENIABLE- just showed up. I would suggest that you read this daily for your network marketing home business. 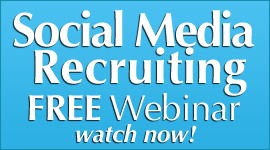 FREE Social Media Recruiting ebook-Social Recruiting Power- over 50 secrets! MLM Telephone Psychology of the Prospects. 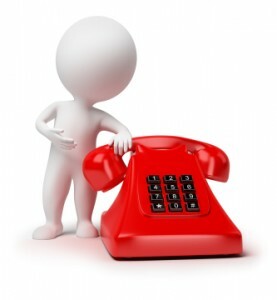 Do you understand the Psychology of the Telephone for your Home Based Business? How do you view the mlm prospect you are talking on the telephone? Would having an understanding of the psychology of the mlm telephone prospect help? Understanding your prospect, no matter if they came from online or offline, is critical. 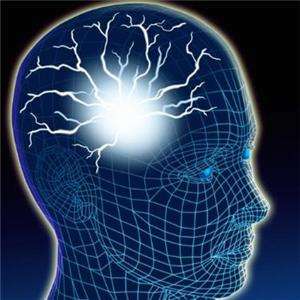 One of the most powerful ways you can understand is from a psychological aspect. This will help you in a lot of ways to better your telephone success. The Psychology of the PROSPECT. You prospects are looking for certain things. They are looking for the things we all are. You need to embrace what they are looking for, and then engage that in your future phone calls. MLM Telephone Prospects appreciate many things. If you understand that, your calls will become more powerful. 2. Genuine Interest in THEIR Interests. 3. Genuine Helping and Transforming Focus. It is called “The Birthday Gift” state of emotion. The Psychology of the PROSPECT on the telephone. 2. Do NOT talk about anything but them and their dreams and wants. 3. Do NOT make them uncomfortable. 4. DO make them laugh. 5. DO make them totally RELAXED. 6. DO “pour into” them with golden words of encouragement. GOLD= Gift Of (a) Larger Destiny. Understand that there is a “Success Language” that you must speak. It is NOT just the language of your words. It is NOT just the language of your thoughts/ mind. It is the Language of the HEART and what they feel. 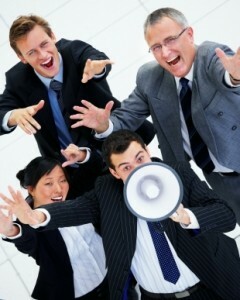 Jere is a golden rule for communication: First people FEEL- THEN they hear. PowerTALK combines the Mind Language and the Heart language to form — Success Language. That is a powerful tool for your mlm network marketing home business for your telephone success! MLM Prospecting Daily Plan that Works! MLM Telephone Training Opening Lines. What do you usually say to your mlm prospects over the phone? How do you come across on the telephone in your network marketing business? Would you like 6 powerful tips on how to open up a conversation about your home business? You have heard that it is a NUMBERS GAME. That is only partly true. It is an EFFECTIVE NUMBERS Game. You MUST work the numbers- but effectively and powerfully. You MUST sift and sort- but do it effectively with effective focus, expectations, and words. 5 out of 10 calls will be PRACTICE. Quit looking for who you are looking for. START looking for those who are looking for you and watch how you explode your mlm telephone success in your home based business. Have you ever asked the wrong question to a network marketing prospect? Have you ever ever walked away frustrated because of so many negative responses from your home business prospects? How would you like to discover an opening line that RARELY if ever gets a negative response? 1. The kind that sound robotic, agenda driven, and “I am going to get something from you today!” approach that feels pressured and not relaxed. 2. The kind that PULLS people towards you immediately and makes the prospect FEEL comfortable and relaxed. Which one would YOU prefer to have asked of YOU? Her name is Lori. Lori was with a weight loss company, and she was struggling a lot. Her business had stalled and she had no answer for why. Because of that, her upline was putting pressure on her. She wanted her to do more meetings, more presentations, more three ways, and more work. And she did. But it started impacting her family. She was gone more, and she was beginning to not like her direct marketing business. As a matter of fact her husband was getting to the point that he wanted her to stay home and be a mom. But she had a lot of weight loss product that she had to get rid of, and called me and asked what she should do. I asked her some questions, and found out that her upline had sabotaged her career unknowingly by forcing her to go into desperate mode, not her normal smiling friendly marketing mode. I asked her to tell me what she was asking folks when she initially contacted them. She did, and I must admit, it was NOT what it should have been as it was pressured. Her upline gave her the script. She had turned a warm approach into something that was not relaxed, and not natural for her. I suggested she ask one simple question and then forget about it. She said ok, and then we chatted about other things. 3 weeks later, she called me. What should have taken 3 months to do and get rid of, she had done in 3 weeks. She got back to being herself, and asked the question we discussed and ONLY that question. She engaged her business with a new power and today has one of the largest teams in her home business company..
WHAT was the question she asked? Understand, that this is for a weight loss company, but the question can be used for anything. Try it. Put your niche and products in there and practice it. Dont be surprised if you see an explosion in your appointments in your network marketing home business! 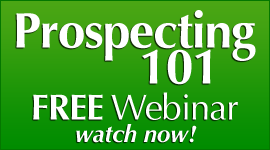 Are You prospecting your prospects with a POWER? Are you using a weak prospecting approach in your mlm business? Could you use some help in your mlm network marketing prospecting for your home business? You always hear me preach about having posture in your MLM prospecting but I think some don’t understand what I mean. In this blog I am going to share my exact responses to common network marketing objections. When I train people how to get better at MLM prospecting I instruct them to maintain their power. To me, the most important thing about prospecting is energy management. I want the prospect to understand that I am in control and I am going to build this with or without them. I am NOT seeking their approval nor do I NEED them in my business if they are not the right type of person. Prospect: I just don’t think I can do this type of business. Rookie: What do you mean? You know everyone! You would be awesome! Prospect: I need to think about it. Rookie: What’s there to think about it? We’re gonna be rich! It’s awesome! Prospect: I need to do some research. Rookie: What’s there to research? I just showed you the presentation, it’s awesome! In all of the above examples you have lost the power in the MLM prospecting conversation. 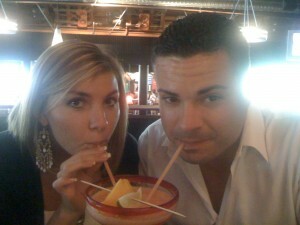 Let me show you how to do it, the Ray Higdon way =). Me: You’re probably right. Do you know anyone that has been affected by the economy that might want to make extra money? Me: Take your time. Because I spend so much time training and coaching people, I don’t want someone coming in not being sure this is something they want to do. In the meantime do you happen to know a financial planner? Me: Cool. There are about 150 videos online, I would suggest going through each and every one of them before you make a decision, lets see if this thing is a fit for you or not. We spend so much time training and coaching I wanna make sure this is a fit for you before you get started. Prospect: I need to talk to my wife/husband. Me: Perfect, I definitely think that is a smart idea. Before I spend a lot of time training you, I wanna make sure this is the right fit for you and your family. 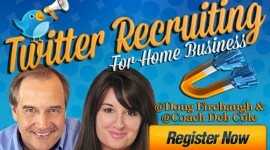 A Powerful MLM Prospecting Blueprint that WORKS! Are you operating your home business with unlimited prospects? 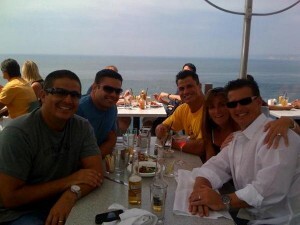 How do you do that and is that important to your network marketing business? Why is unlimited leads and access to a million leads so important today for your direct sales business? 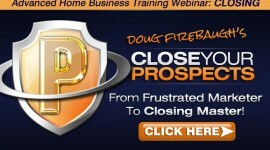 You MUST have Unrestricted and Unfettered access to Unlimited prospects to create Wealth in your home business today. Things have changed and continue to. You simply need to have access to millions of leads that are just waiting on you to call them. Yes, you read that right. They are waiting on you to call them. But first, you must find them. And the best part- is they are FREE and no charge. Sound like a dream that you wish was true? It is true. And it is all over the internet. 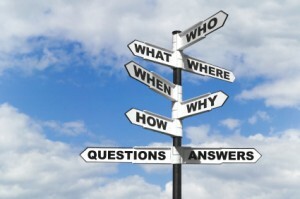 All you have to do is know where to go, what to do, how to access them and how to recruit them the way today requires. If you do not- you need to learn and learn fast. Today, the warm market is still a VERY viable way to gather leads and build your business. But a mistake is made everyday. The distributor restricts their lead gathering process to just one market –the people they know- and that market has restrictions and boundaries. 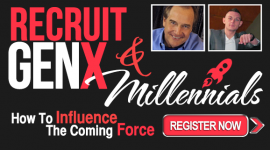 You are limiting yourself to a very microscopic, small part of the possible leads that you can find to recruit. YES, you need to work your warm market, but today, you need to also have a bigger market, a more powerful market, a more magnetic market that will help you find the people that you need to connect. Terry, who lives in Tampa,Florida found this to be true. She was working her warm market and getting a LOT of resistance, negative responses, and nos. She actually was so discouraged, that she was thinking of getting out of the business and going back to her job full time. She had backed off to part time to work her business. Why was this happening? She was finding out what many new folks do when they start a home business. Her friends and family looked at her as Little ol Terry and not a business person or an entrepreneur. She was not taken seriously, and many people just told her she was wasting her time. When she started working some online to find leads via social networking and other methods, – she found more quality leads in 7 days then she had in 7 weeks. 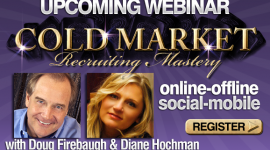 Her recruiting Success increased dramatically, and her income followed that path as well. She today regularly gets 10- 20 new leads a day, and has never looked back. Yes, she still works her warm market, but knows that there has to be more than that today to succeed at Network Marketing. How are boundaries set up? They are using an old cell phone mind set in an Iphone world. They are using the typewriter in a mobile marketing world. They are using snail mail in an RSS Feed and SMS world. Things have changed in network marketing and being able to have unrestricted access to an infinite number of leads free is a MUST to succeed in today’s business. Every business has growth and change. Every industry has transformation. The home business market is no different. It has evolved and changed the last 5 years to the point that those who do not embrace that change- will be the former distributors of tomorrow. There are way too many people gathering leads online by the thousands, to say that it does not work. 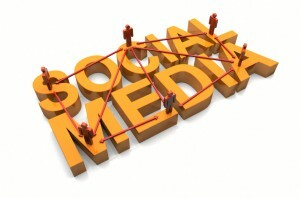 On the social marketing sites. On the blogs and microblogging sites. On the book marking sites. The new Millionaire to be in our industry will be playing by rules, strategies, and tactics that even 5 years ago, would not have even been thought about because they did not exist. Are YOU going to be left behind? Are YOU going to be one of those that simply does not get it? NO! You are going to unleash a social media storm in your business and life and take both to a whole new level of Success! By changing and expanding your strategies for finding leads, and gathering prospects for your business. You MUST understand that 7 billion dollars was done through the power of ADAPTION. There were things that had to be adapted to- and changed- to continue moving forward. When the industry started changing in technology- I had to shift as well as the industry. “I remember when the telephone was the only prospecting tool. There were no cell phones and computers–they were only seen in sci-fi movies. Yet, when the advent of the cell phone came, I adjusted. That is one of the biggest secrets to Success today in network marketing- adjusting and adapting. When the fax was really hot in the 80s, we adjusted and adapted. It was a great tool as was the voice mail when it came out. But again, things change. Then came the personal computer, internet and email. We adjusted and adapted again, and used the tools that progress had brought to the table. If I had not adjusted and adapted, my business would have suffered. There were people in my group that did adapt and did not skip a beat. Then there were those who did not – and many got buried in the wave of change. I have found that a billion dollars can be found on top of the wave of change- not at the bottom. Some people say you cannot teach an old dog new tricks. Well, first off, I am not a dog- and second off you CAN teach someone that has seen it all new techniques, methods, and tactics.